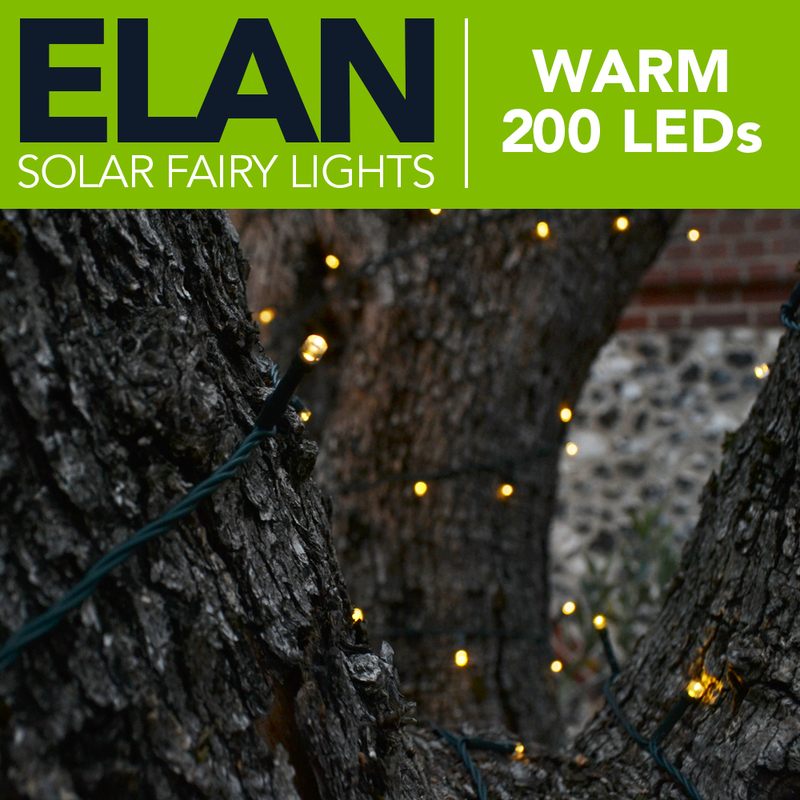 Our new Elan Solar Fairy Lights offer great performance at a fantastic price. Oh, I was so excited to come home and see the solar fairy lights lighting up my garden. So pretty. Delivered as expected but haven't yet had time to unpack. So far so good. Thanks. The days of having to run electricity out to your garden to enjoy decorative lighting are gone! 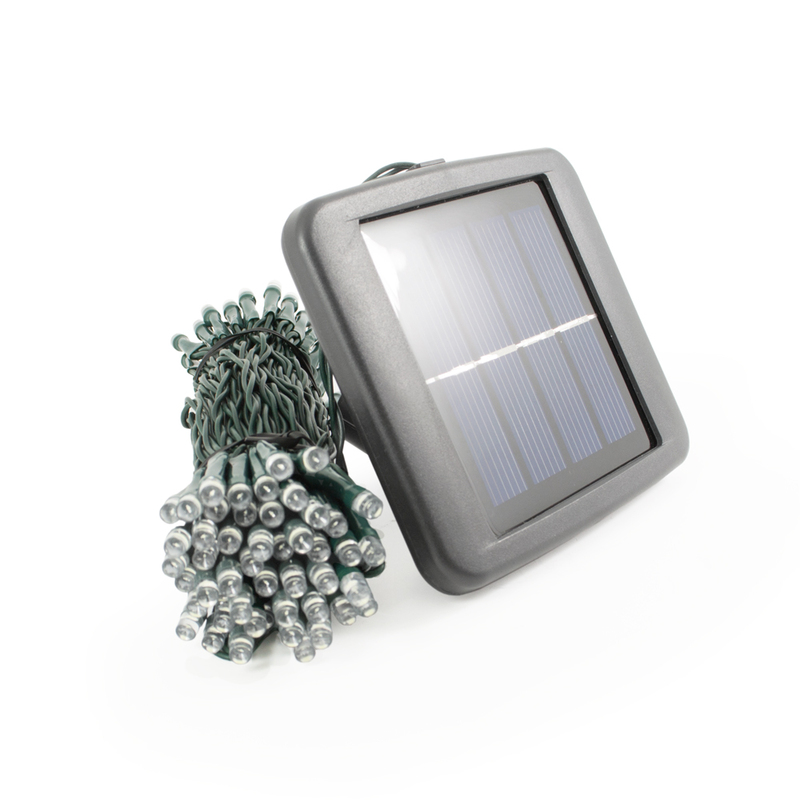 Our new Elan Solar Fairy Lights can be installed anywhere in your garden quickly and easily. Simply drape your lights, place your solar panel, turn them on and wait until dark! Elan Solar Fairy Lights can be installed in a matter of minutes by using the supplied stake mount. Elan Solar Fairy Lights are completely solar powered. During the day the suns rays are absorbed by the solar panel which charges the rechargeable AA batteries that are included with your lights. After dark the AA rechargeable batteries power the lights for up to 10 hours before charging up again the following day. AA rechargeable batteries are easily replaceable after several years use and widely available from most supermarkets. Elan Solar Fairy Lights are fully weather resistant and use the same amount of power as a typical TV remote control making them safe to use outside in all weather conditions. what colour is the coated wiring/string that light attached to? We'd expect at least 3-5 years. The batteries can be easily replaced too. I have some very similar lights. Can I buy just the solar charger? Currently, we don't sell the panel on its own and its very unlikely ours would fit another brand. If the lights are designed by us then please contact us to see if we can troubleshoot and help.